I am so happy to have a chance to sit down and post about my new goodies. 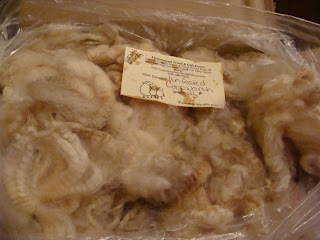 Up first, I purchased 5 pounds of uncoated coopworth wool from Homestead Wool and it arrived on the Tuesday. It really is just as nice as it looks on the site. 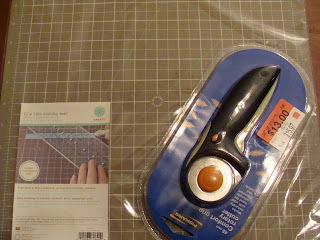 I plan to take a few scrap fabrics to practice on then make a couple of fleece tie blankets. Hopefully my lines will get a little straighter now. I'll even have to break out the sewing machine again and continue to practice my stitches. 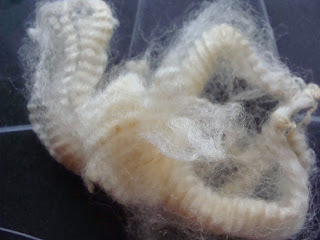 Join in the fun with the Fiber Arts Friday Blog Carnival. That looks like a lovely fleece! Have fun with it.